All my teeth are sweet and I’m always looking for sweet treats to eat. I’m the kind of person who will open a bag or packet of sweets, eat one and then proceed to eat them all, no matter how big the bag! I just can’t help myself. 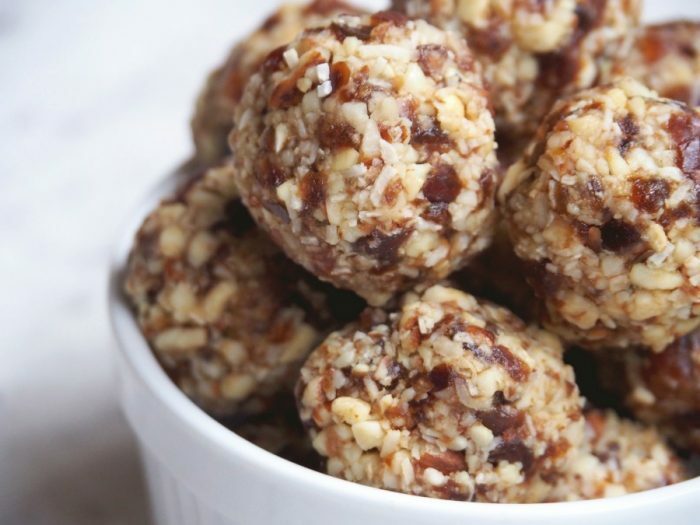 Lately, I’ve been looking to energy balls to satisfy my sweet cravings because one (or two) is always enough. 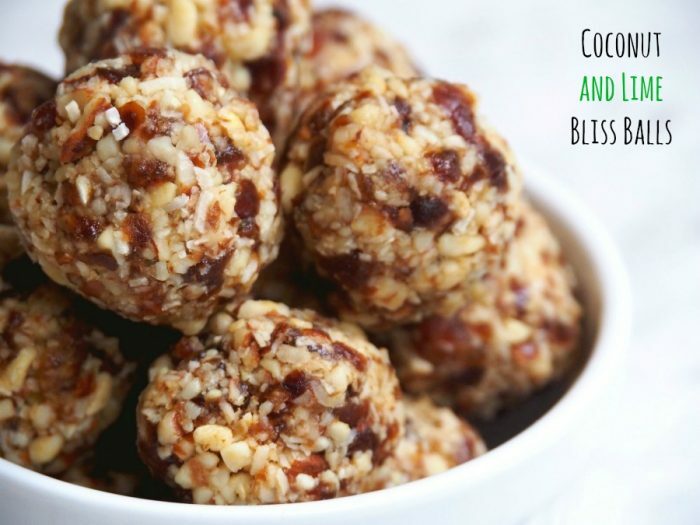 First there were the Apple and Cinnamon Bliss Balls, then there were the Snickers Bliss Balls and now I present to you the Lime and Coconut Version. These babies are vegan, free from dairy and gluten but full of yum! My neighbour Luce (she of the famous Pumpkin Dip) gave me a bag of fresh limes. I was desperate to bake with them but my oven thermostat decided to die, so I had to think outside of the cake tin and that’s how these amaze-balls were born. I love the combo of cashews and almonds, but you can use either or if your prefer. If you like to your nuts roasted, I won’t stop you! I think lime and coconut were made to go together, don’t you? It’s not the first time, I’ve match made them together in a recipe, do you remember that Coconut Lime Slice? It’s sublime (excuse the pun!) 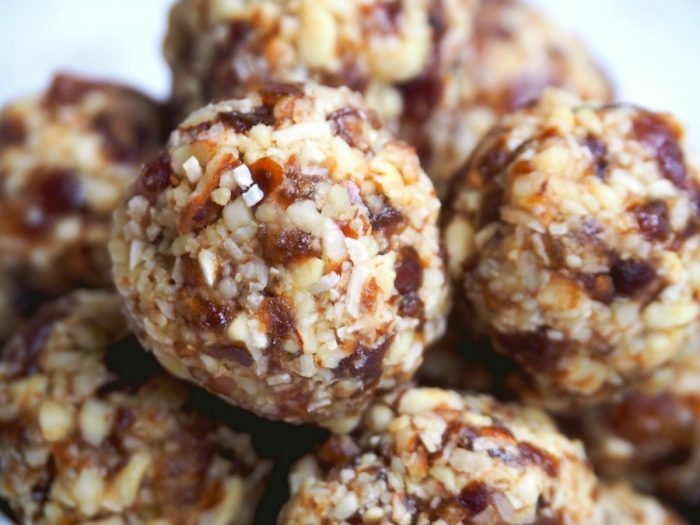 In these bites, it’s the fruitiness of the dates, the crunchiness of the nuts, the chewiness of the coconut and the zestiness of that lime work so well together, so well that you might have a hard job stopping at one! I like to keep temptation at bay and keep these babies in the freezer (they’ll be good for a couple of months,) but if you prefer, you can keep them in the fridge for a week or two. What’s your favourite flavour combination? When it comes to candy, are you an all or nothing person too? Place dry ingredients, lime zest and 1 tablespoon of juice into food processor. Pulse to roughly break up the ingredients. Process until mix until mixture is crumbly and starts to stick together. If it’s too dry add some more lime juice, just so the mixture is wet enough to hold together and process again. 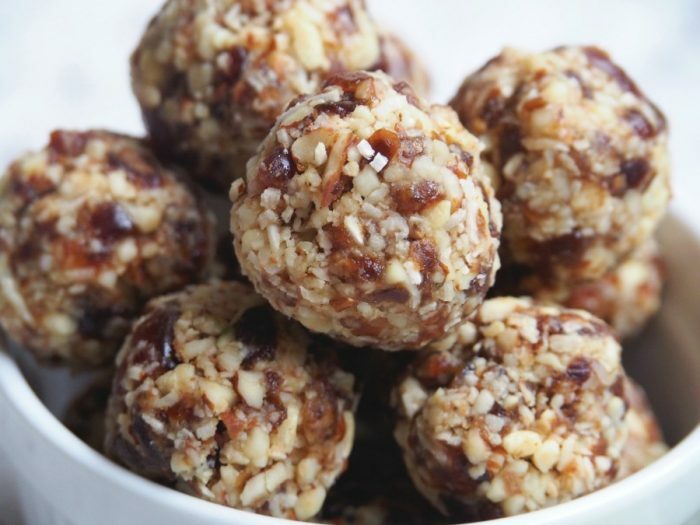 Using slightly wet hands, roll tablespoons of mixture into balls. Store in fridge or freezer. Place dates, nuts and coconut in to TM bowl. Add lime zest and 1 tablespoon of juice. Blitz on speed 8 for about 10 seconds or until the mixture comes together. If it’s too dry add some more lime juice, and mix again on speed 8 until mixture comes together.